Most people live fast paced lives, with little time (if any at all) for reflection and introspection. But especially in a fast paced life, we need to make good decisions and find ways to live healthier by reducing stress, finding time for exercise, relaxation and good nutrition. When we don’t have enough time to process thoughts and start expecting too much of ourselves it can trigger stress which leads to even poorer decision making skills. One way to take control of our feelings and thoughts is to get a professional tarot reading where we get a hands on approach to be able to deal with the issues that are silently bothering us and causing us stress. But what can we find out through tarot readings? What could possibly be in a bunch of colorful cards? The secret is not in the cards but rather in you! When you get a professional online reading by a person who is skilled enough to pick up on the issues that you need to address, even a single reading could give you more than what you would gain from several therapy sessions. By pinpointing your life questions you can get to the bottom of the things that you need to solve in order to proceed with your life in a healthier way. Today there is much awareness of something called the unconscious, which according to cognitive psychology has a profound influence on higher mental processes. There are different ways to reach the unconscious and understand what is going on deep inside in order to better understand why we act the way we do in our daily lives. Whether you choose to go through hypnosis, some sort of therapy or get a tarot reading you might be surprised to find out how many secrets you are keeping from yourself. Questions like how you feel about your partner, your job, your future career and more might seem like big obstacles and topics you can’t even deal with, but when you use a powerful technique to unlock your unconscious and make it available to you the answers are right there and things become clearer. 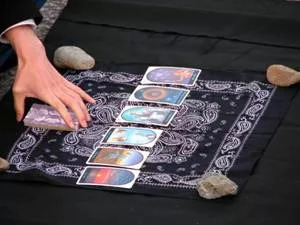 With yes or no tarot or any other tarot reading available, emotions that have been buried deep inside your unconscious mind can come to surface, which is not only a powerful experience but also a key to many of the problems that you face right now. It is not the cards that are telling you what to do but what they do is work as an efficient guide, leading you to the right conclusions by using the knowledge you already have. Just like you wouldn’t go to just any therapist you shouldn’t either settle for any tarot reader. 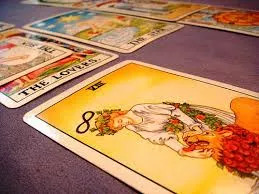 Reading tarot cards is a skill and good readers have a lot of experience. If you want an online reading it is a good idea to pick a site with several readers available because you also want to have the reading done by a person that you feel comfortable with. As the reading proceeds you might uncover memories that you are not willing to share with just anyone and therefore it is very important to work with a sensitive reader that you feel comfortable with. 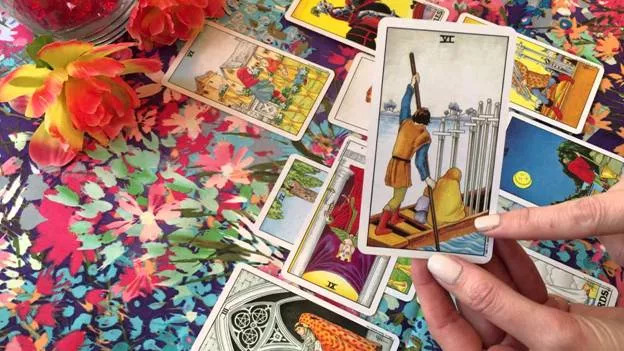 It might take a few tries before you find the right one but when you do the tarot reading could be just what you need to get back on track by sorting your mind. A skilled reader is also a people person and good at picking up clues from the things that you are saying. Your reaction to the reading must be dealt with correctly in order to unlock secrets with tarot. With the proper guidance you will be able to reach amazing conclusions after a simple reading done online. You might find it embarrassing to share with friends and family that you went through a tarot reading, which may seem a bit out of the box. Actually, it’s a good thing if you do not share it. If you do, you might find yourself getting a lot of unsolicited advice from well-meaning people who think they can save you a few bucks by telling you what is really wrong with you or what will be the best solution to your problems. Remember, the idea of tarot is to find the mysteries within and unlock the secrets that you already have. If your friends and family get involved in the reading you might end up missing the gems and just feeling more confused. Getting a reading online is a very smooth and private process, and you don’t have to let anybody know what was said in the reading. If you do choose to share, only share with people you know won’t judge you or try to fix whatever they think you are trying to fix. Just like you wouldn’t tell everyone you are going to see a therapist, dietician or beautician, there is no need to discuss your tarot reading with others. Once you start to uncover your own secrets and understand better what you need in life, it is time for real change. This is the hard part but it must be done. Your tarot reader might be able to give you some advice but the real decisions and changes must be made by you. This may mean a change of diet, a move, a break up or couples therapy, all depending on the individual. It is all very well to find out how you really feel about things and what might be the best for you at this point in your life but if you don’t take any action, the reading won’t do much good. Following the reading it is wise to create a plan of action of setting up goals and steps for reaching those goals. Don’t forget to evaluate the changes to see how you are developing and how you feel as a result of your new lifestyle. As you work towards your goals you might want to get another tarot reading to further clarify questions. This can be done by the reader you were satisfied with previously or with someone else. The online format makes it easy to find the best tarot reader and to return to the same person for new angles on your life path.